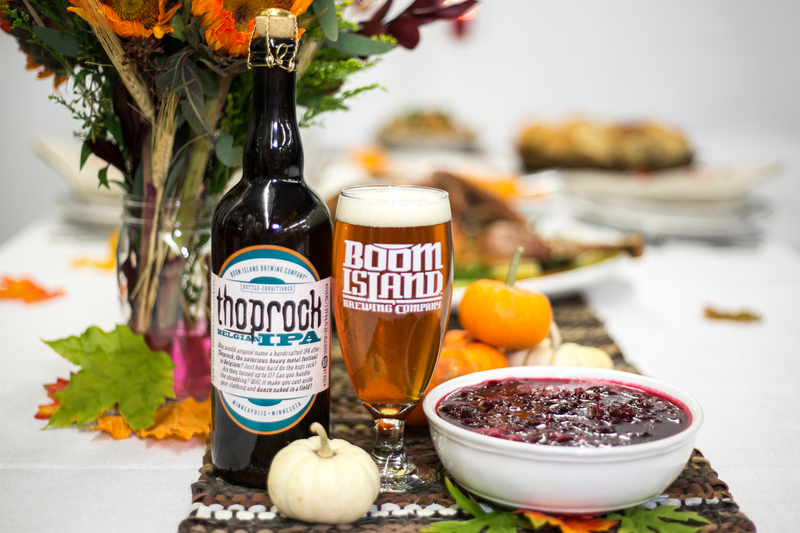 Nix the canned cranberry sauce this year and make this homemade sauce using our Thoprock IPA! IPAs can become even more bitter when boiled or reduced, so we added it at the end. This late addition allows the flowery, citrus flavor of West Coast hops to shine through. Please celebrate responsibly. We wouldn’t want you to get sauced on our account! • In a medium saucepan over medium-high heat combine the water and sugar. Bring to a boil, stirring until the sugar is dissolved. • Add the cranberries and orange zest. Reduce heat to medium-low and simmer until the berries burst and the sauce is thickened, about 20 minutes. • Remove from heat and stir in the Thoprock. • Serve warm or chill until ready to serve.